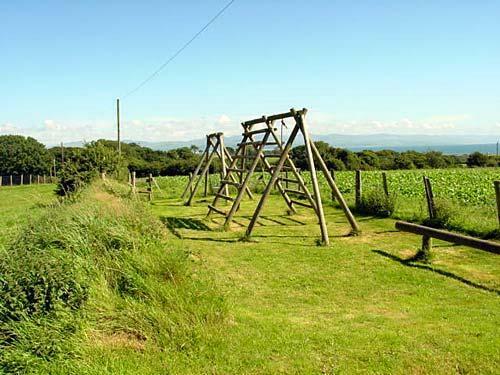 Enjoy breathtaking views of Cardigan Bay and the mountains of Snowdonia and the green meadows and wild flowers growing upon the hedgerows; it is the haunt of buzzards and woodpeckers. 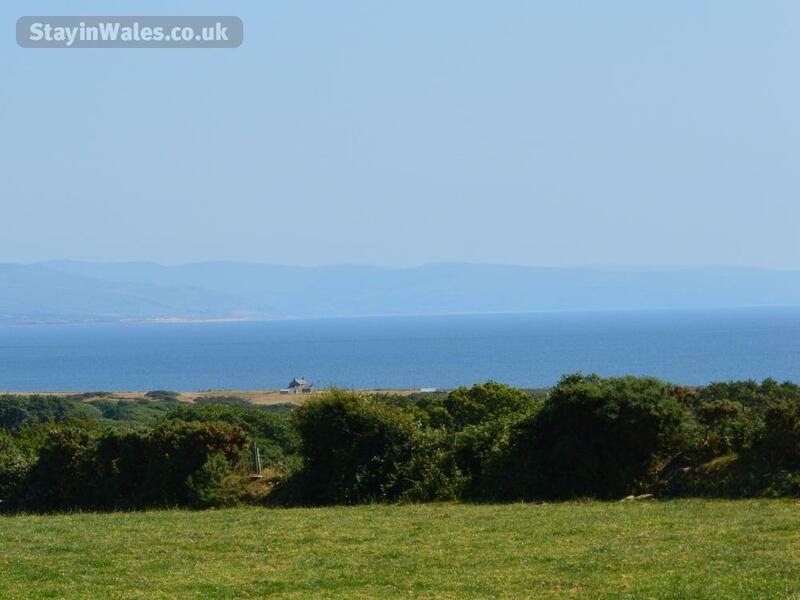 Pen-y-Bryn faces South and the view from the farm is that of Cardigan Bay and the mountains of the Snowdonia National Park. Even Snowdon itself can be seen to the North East. Bwthyn enjoys the best of both worlds, being set on a 140 acre dairy farm and also within easy reach of all pleasures and attractions this beautiful part of Wales has to offer from castles and narrow gauge railways to golf and fishing. You are assured of a comfortable retreat to return "home" to and the cottage has its own individual character and charm. 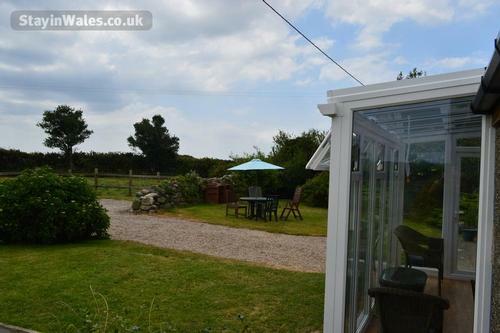 Y Bwthyn (The Cottage, sleeps 4) is a single storey cottage in a beautiful rural location, which benefits from the following features: Lounge with dining area; excellently equipped kitchen; double bedroom with en-suite bathroom; twin bedded room with en suite shower room. New conservatory. 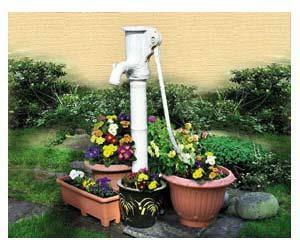 There is also an enclosed garden with patio and car parking area. Panoramic views of Snowdonia and Cardigan Bay. The cottage has a fully equipped kitchen with electric kettle, toaster, microwave, cooker, dishwasher, washer/dryer, good saucepans and Portmeirion pottery. The bedrooms have duvets, and all beds are made up ready for our guests' arrival. 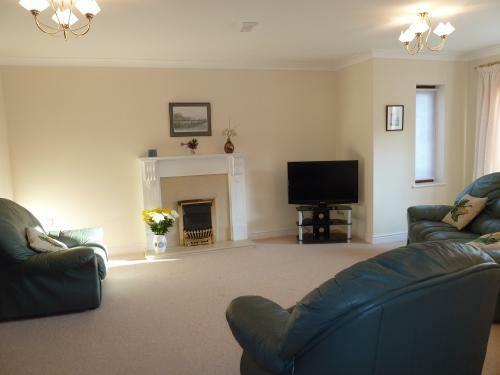 There is a television with freeview and DVD player, also storage heaters. A barbecue and garden furniture are also provided to ensure that our guests enjoy their stay with us. The garden is enclosed which proves popular with parents of young children and pet owners. Guests return year after year (sometimes twice a year) to unwind and enjoy beautiful and peaceful surroundings. 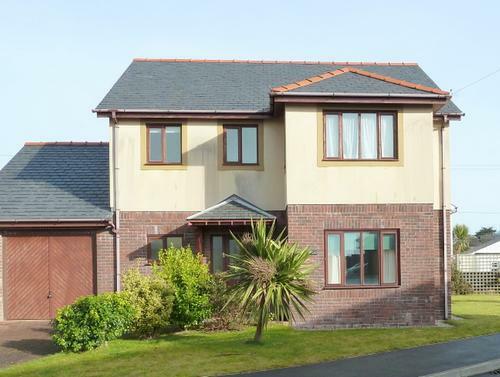 Our modern three bedroom house 100 yards from the beach at Criccieth has proved very popular. Min y Traeth is tastefully furnished for a relaxing holiday being light and sunny most of the time and warm and cosy in winter. 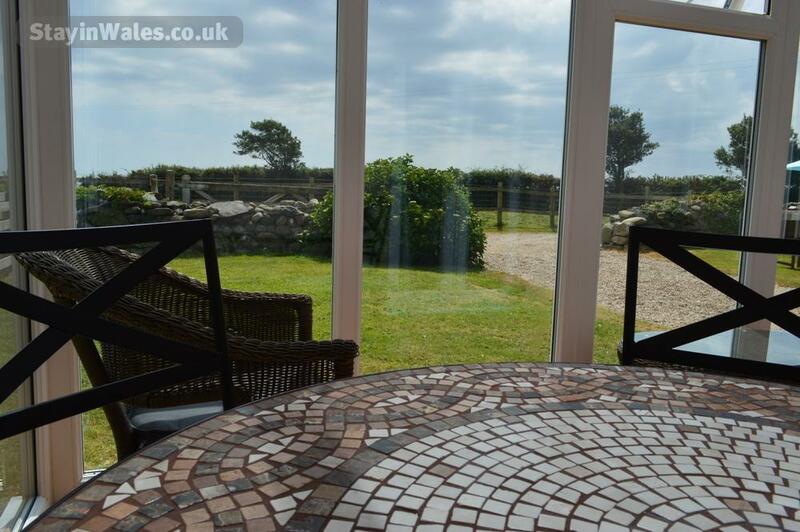 Enjoy your meals in the dining room with views towards the sea. The lounge has comfortable seating with wide screen TV and DVD player. 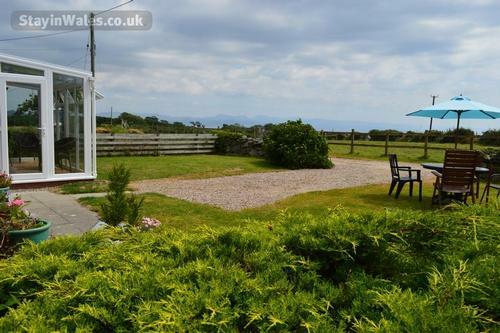 The double bedroom has views of the sea and Criccieth's medieval Welsh castle. There is an en suite shower room. 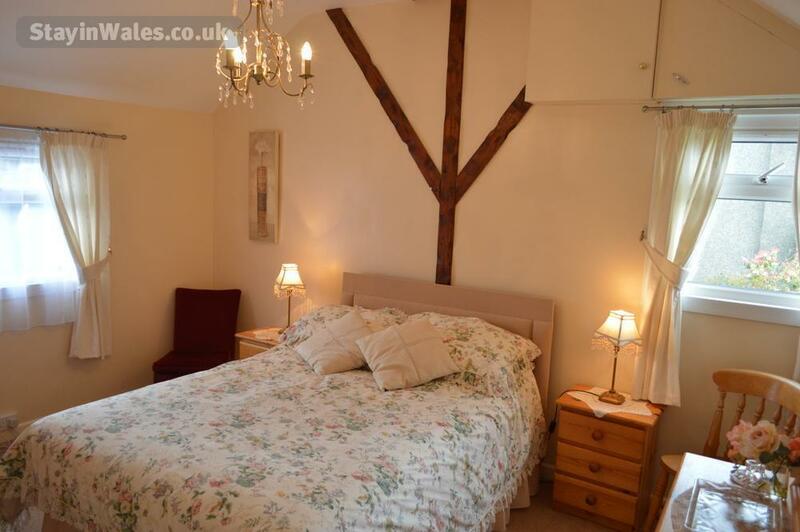 The castle can also be seen from the two twin bedded rooms. The main bathroom has shower over the bath. Min y Traeth offers affordable luxury for a memorable holiday in a central and convenient position. Prys Mawr is our newly refurbished farmhouse set within green fields and enjoying countryside views. It offers a taste of luxury with 3 en suite bedrooms, wet room and state of the art kitchen. Free wifi.